Having been very critical of the discount supermarket Lidl in recent articles on this site, I thought it was only fair to give another side of the story. So I’ve been trawling the internet for a good article that gives an alternative point of view. The most interesting one I found from the last 6 months was an opinion column published in The Guardian in August last year. I have reproduced it below, and acknowledge The Guardian as copyright holder of this article. 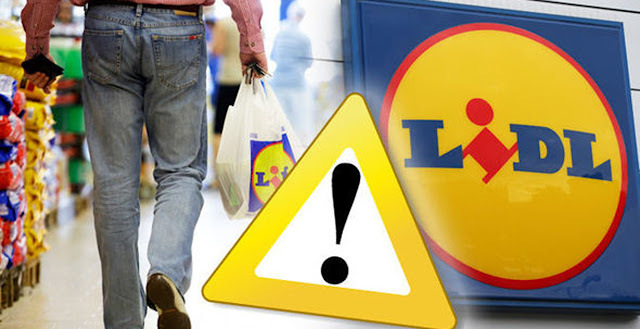 For what it’s worth, I still hold my view that, sooner or later, Lidl and their rivals Aldi will run into big difficulties when the British public become bored with supermarkets that provide low prices at the expense of poor customer service and a very limited choice of products. But for the time being, there seems to be a new Aldi or Lidl opening up on every street corner all over the UK. I am convinced that the ‘Big Four’ supermarkets (who all offer a much bigger range of products and far superior customer service) will fight back with the 'mother of all price wars'. And when that happens the two upstart German discount supermarkets will struggle to compete. But for the time being let’s allow Aldi and Lidl to enjoy their day in the sun. British supermarkets were once an established social ecosystem: Waitrose and Marks & Spencer catered for the wealthy, Asda for the hard up, and Tesco and Sainsbury’s for everyone in between. Then a foreign species disturbed it. In the early 1990s, German discount stores Lidl and Aldi arrived in Britain, catering mostly for those who couldn’t afford to go anywhere else. Now they respectively make up 5.2% and 7% of the market, and are stuffed with middle-class shoppers, who shun Sainsbury’s Pimm’s for “Jeeves”, Lidl’s own brand version. On Tuesday Lidl overtook Waitrose to become Britain’s seventh largest grocer. It now has plans to open 60 new UK shops a year. The success of these budget shops can be partly explained by a decade of stagnant incomes and government austerity. The depth of the recession, and now rising food price inflation, encouraged people to hunt down the cheap deals (one survey claims Lidl beats other stores on price by some 15%). It is also down to altered social trends. When faith in the banks took a hit in 2008, loyalty to other institutions, including large superstores, did too. Shopping habits became more fragmentary: people carrying their designer handbags would also wear socks from Primark (the effect is known as “Primarni”). If you bought your avocados in Waitrose, you might also buy your milk from Morrisons or Aldi. And as more young people head online for their groceries, supermarkets are competing over a population of ageing shoppers who have the time to look around for the cheapest option. But the rise of Lidl and Aldi reveals something more surprising about British shoppers: look beneath the surface of the triumph of the discounters and it is clear they care for value as well as price. A decade ago, when these shops were equally good value, but sold cheap food in bleak Teutonic surroundings, they did not attract many customers. Only when they made efforts to compete on quality did their current boom begin. So now they are sourcing fresh fish from Scotland; they claim to produce own-brand nappies of equal quality to more expensive brands such as Pampers. They sell a larger proportion of fresh vegetables, meat and fish than their rivals. And since the summer of 2013 their combined market share has grown nearly 80%. This bodes well for the health of the British food industry, as do some of the methods Aldi and Lidl use to save money. They have short supply chains, which means fewer opportunities for the kind of bad behaviour that led to recent scandals over contaminated eggs and pork in UK supermarkets. They avoid big brands, a move that gives them a larger profit share, but which also allows smaller and local businesses a look in. They also specialise in smaller local shops, which are cheaper, rather than the kinds of out-of-town superstores that contributed to the downturn of many high streets. The older names are going to have to move fast to stay ahead. They are already struggling to deal with a threat from Amazon, which recently bought upmarket food store Whole Foods, and threatens to outpace them with innovative new delivery methods. Now they must squeeze prices too, but with large overheads it will be difficult without cutting quality. There is the irony. Just as the British customer makes the case for value, supermarkets may downgrade.